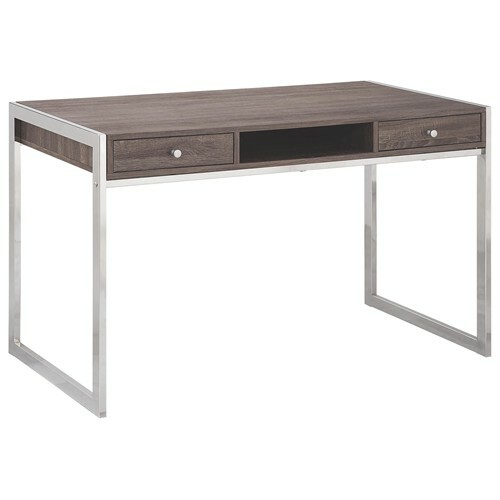 Add a crisp contemporary look to your home with this desk. The piece carries a dark grey finish and features chrome legs. 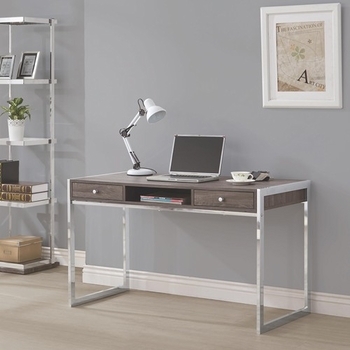 In addition, the two drawers and shelf are great for books, important papers and office supplies. There will be so much to like with this desk.